Coworking is a modern tool for economic development that is a cost-effective and adaptable to your city’s needs. It can be hub for remote workers that encourages people to take advantage of job opportunities around the world without having to move away from family and friends. It is a support and mentoring community that encourages people to start their own exciting startup or freelance business on the side. Coworking is placemaking for the curious, the ambitious, and the creative. Our experienced coworking leaders have worked with cities, economic development groups, and non-profits that want to better their communities through coworking and collaboration. The team comes from all over the US and can relate and develop plans for small towns that are struggling to keep young people to cities that need to capture the entrepreneurial energy. Why coworking is right for your city? Coworking spaces can be started for $50,000 to $!50,000 and have an impact on hundreds of members. If the city already has the space then it can be done for less. This low price allows for it to be more cost-effective tool for economic development compared to expensive incubators or tax credits favoring large businesses. Attract and Retain Young Workers. 67% of coworking members are under the age of 40. Coworking creates vibrant collaborative communities that opens job opportunities beyond city limits. It empowers remote working and startups making even small towns a place for global opportunities. Coworking members spend $9 a day in the neighborhood they work stimulating the area with hundreds or thousands of new dollars every business day. Coworking brings people together and get them out of their home. It creates a hub of activity for creative professionals, non-profits, entrepreneurs, and many others and can be a driving force in sustainably transforming a downtown. Coworking is an adaptable space of activity for makers, artist, developers, and small businesses. Coworking goes beyond economic activity and is a resource for the entire community to use, learn in, and share. 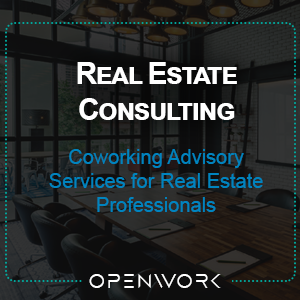 We can help bring coworking to your city from feasibility studies to complete turnkey solutions.